In summer 2004, together with some friends of mine, I did a little road trip through the United States. During nearly two months we visited Washington, New York, Las Vegas, San Francisco, Los Angeles, Grand Canyon, Yosemite National Park, Chicago, Cincinnati among others. Now I was hoping to be able to write a few words on each of these locations but I have never really found the time to do so till now. 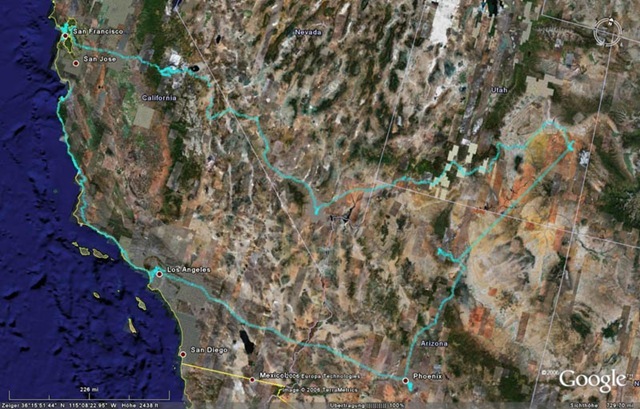 So for the moment, as a small start, I’m just going to show you the route of our trip (coming from a GPS device I carried with me) and a few picture galleries. We went by car, first traveling through the eastern part of the USA, then flying to the west where we continued our tour. 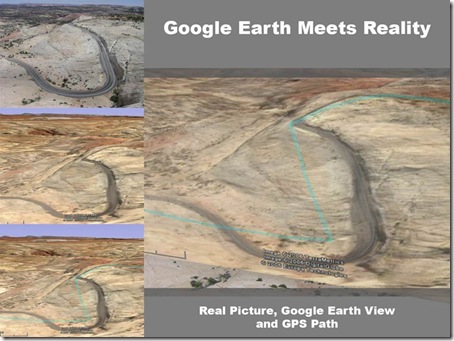 The above pictures come from Google Earth and show GPS data as I already said, but before I’m going to show you the picture galleries of our trip, I’d like to see a little comparison between a ‘real’ photo I took on my trip and the view of the same place you get in Google Earth. I found that very impressive! 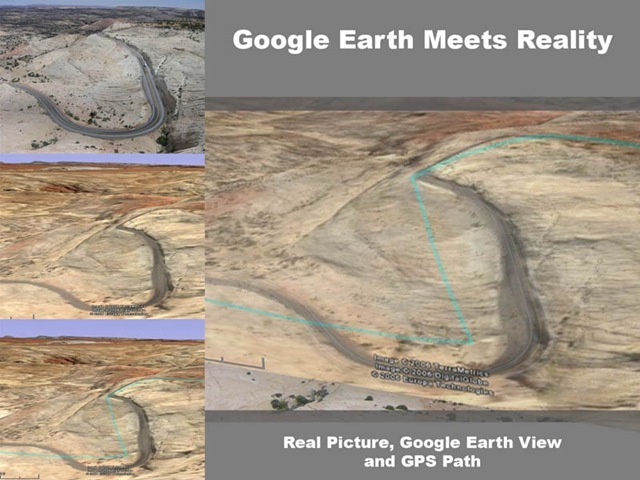 The pictures on the left are (top to bottom) the photo I took, the 3D view from Google Earth and again this view with overlaid GPS path. The big one the right is an overlay of all three of them. But now, here’s the picture galleries I promised. Have fun!